Her first single of the new year. 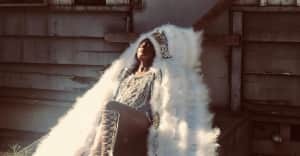 D∆WN's latest track is a swift gurgle of electronics. "Not Above That" is produced by Machinedrum and co-written by Maya Vik, who appeared last year in the excellent "Y.M.D. ", a similarly bubbly, synth-heavy collaboration with Lindstrøm. D∆WN plans to release Redemption later this year. Check out her tour dates below.